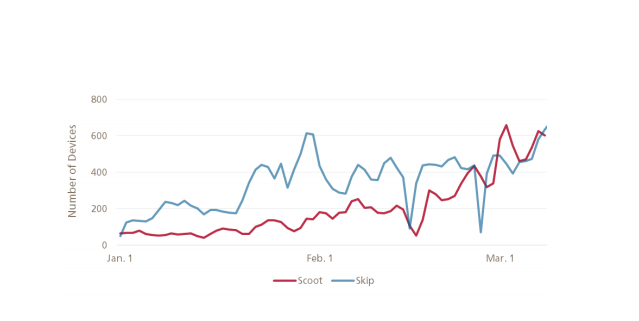 What especially jumps out is the fact that Skip accounted for 90 percent of all rides, It seems that’s a result of consistently having more scooter availability than its rival Scoot . Some of the promises related to electric scooter usage have touched on fewer car trips and better access to transportation for people in low-income areas. The SFMTA says 42 percent of scooter trips replaced car trips while just 0.5 percent of Scoot trips and 0.3 percent of Skip trips were part of the low-income program.